The Cork native is looking forward to getting to know his panel. DUBLIN HURLING BOSS Ger Cunningham is working hard behind the scenes to make sure his tenure in the capital is a successful one. The former All-Ireland-winning Cork goalkeeper is currently putting together a backroom team and attempting to get to know his new panel he admits. Speaking to Stephen Doyle on 98FM this morning, Cunningham says the challenge is for him to build on what Anthony Daly and recently deceased county chief Andy Kettle achieved over the past six seasons or so. “You can see there was a fantastic relationship there, you can see it, it’s in the book that Dalo brought out but when you talk to the players you can hear it from them as well, they’ve had a fantastic few years with Andy (Kettle) and Dalo, so I wouldn’t have that attachment. He brought them a huge amount of success and has brought Dublin hurling on a huge amount,” said Cunningham. He’ll now attempt to familiarise himself with the players and build a solid working relationship from there. And has the Barrs clubman been disowned by his county? Email “Dalo a tough act to follow as new Dublin hurling boss Cunningham gets down to business ”. 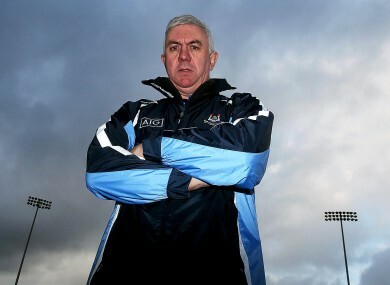 Feedback on “Dalo a tough act to follow as new Dublin hurling boss Cunningham gets down to business ”.